The taking of ibuprofen by expectant mothers during the first 24 weeks of pregnancy may lead to a reduction in the number of eggs stored in their daughters' ovaries. That is according to research by an international team of scientists, who found evidence that the painkiller could result in a dramatic loss of germ cells, which eventually develop into eggs. 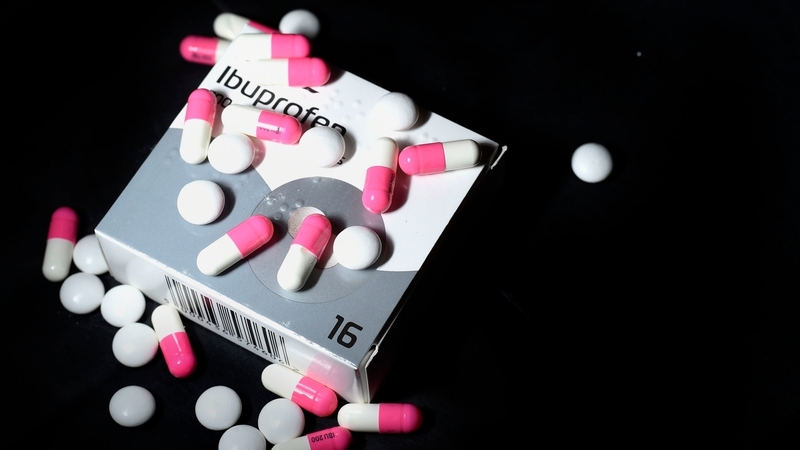 Ibuprofen is well-known and widely used over-the-counter medicine for combatting pain. It is estimated that around one-third of women use it in the first three months of pregnancy. Current guidance is that it should not be taken after that because of the risk of malformation. With each mother's consent, a team of scientists from France, Denmark and Scotland obtained 185 human foetuses between seven and 12 weeks of development from legally-induced terminations of pregnancy. They then grew ovarian tissue from the foetuses in the lab to see what the effect of the drug was on it. They also tested concentrations in the blood of the umbilical cord to determine the foetuses exposure. In a paper published in the journal, Human Reproduction, the researchers say they found Ibuprofen crosses the placental barrier at the same concentration it stays in the mother's body. They found the foetal tissue that was exposed to Ibuprofen over one week had approximately half the number of ovarian germ cells as tissue that was not exposed. The germ cells either died or failed to develop at the normal rate, with effects beginning after two days’ exposure. After five days of withdrawing the drug, the harmful effects had not been fully reversed. "We found there were fewer cells growing and dividing, more cells dying and a dramatic loss of germ cell numbers, regardless of the gestational age of the foetus," said Dr Séverine Mazaud-Guittot, a researcher at INSERM in Rennes, France, who led the study. The scientists say the findings raise concerns about the long-term effects of the ibuprofen on the future fertility of women exposed to the pain killer while in their mothers' wombs. This is because baby girls are born with a finite number of follicles or undeveloped eggs in their ovaries, which define their ability to reproduce as adults and a poor reserve can lead to reduced reproductive lifespan, early menopause or infertility later in life. "The wisest advice would be to follow currently accepted recommendations: paracetamol should be preferred to any anti-inflammatory drug up to 24 gestational weeks, and the latter should not be used thereafter," said Dr Mazaud-Guittot. "However, practitioners, midwives and obstetricians are best placed to give expert advice: every mother and every pregnancy is unique." The researchers recommend more studies be carried out into the mechanisms of action of ibuprofen on human ovaries and on alternative painkillers. Further long-term follow-up research is also needed of daughters of women who took ibuprofen during the first three months to see what impact it may have had on fertility.